There can be no doubt that brands – luxury or not – have a lot to learn from the lucrative sector of luxury goods. Insights on core branding principles with broad applicability for any marketer, communications professional and business leader – from our Partner Markus Kramer. Views are subjective and our own. February 8th 2017. © Brand Affairs AG. There can be no doubt that brands have a lot to learn from the lucrative sector of luxurious goods. From creating desire and aspiration to leveraging models of scarcity for communication and margin advantages, learning-from-luxury (LFL) is a flourishing trend in brand management. There are, to put it quite bluntly, two kinds of industries in the world of commerce: the luxury industry, and all the others. The inner-workings of this industry are so very different from others that it requires a unique approach to properly understand it. For the purpose of this article, let’s zoom within the broader luxury industry, focusing specifically on Switzerland’s luxury markets. The way in which Swiss prestige brands are being managed is worthy of special attention simply because of the fact that many Swiss premium brands have enjoyed incredible long-term success. We need to ask which factors historically brought the practice of luxury brand management to where it is today in Switzerland? And what are the components of Swiss luxury brand management that continue attracting a sophisticated luxury clientele from around the world? Switzerland is part of the ‘Big Four’ (along with France, Italy and the UK) when it comes to creating and managing high-end brands. The main areas Swiss luxury is known for are: haute horlogerie, accessories, chocolate, hospitality/leisure, tourism, high-end banking, real estate and collectibles (in no particular order). There are two kinds of industries in the world of commerce: the luxury industry, and all the others. There are many factors that further underpin this premium position. Some of these are obvious, such as economic and political stability, quality of life, innovation and safety. However, what can we uncover further beneath the surface? Among many other pan-European customs, there is a tradition of commitment in setting, raising and keeping the bar high by continuously asking the ‘Building Agenda Review’ (B.A.R.) question: are we being careful enough about what we are handing over to the next generation? Building luxury brands that make individual creations, as opposed to units of mass production, provides the antidote for commoditization. Building whole industries that facilitate a culture of excellence means that luxury brands can lead by example. Yet the BAR question makes room for constructive questioning in the age of disruption, too. Applying critical questioning is not anchored in language, but within culture itself. It is present in the world of science, diplomacy, banking and many more in Switzerland. But, most of all, the anchorage of BAR is found in the world of Swiss luxury brand management. The BAR question makes room for constructivism in the age of disruptivism. In the Best Swiss Brands 2016 study by Interbrand, most of the top brands were predominantly luxury brands and brands that target the luxury sector.4 Richemont SA and the Swatch Group, two of the largest global luxury conglomerates, are Swiss. If we look at the period from 2008 to 2016, we can see that Richemont’s sales almost doubled.5 Yet in spite of the continuous growth of many luxury brands, Swiss luxury brand managers are, in general, not obsessed with growth. The radical paradox of the luxury branding business is that slow growth, no growth or even a decline in the short-term are not necessarily indicators of failure or error. The notion of growth is much more organic within the business of luxury. For example, brand management expert, Prof. Jean-Nöel Kapferer, tells us that “Growth is the biggest challenge for a luxury brand in that volume dilutes the brand cachet”6. Uncontrolled growth could easily lead to oversupply. Of course, it is tempting to just ‘sell more if there is demand for it’. However, quick scaling and rapid satisfaction of demand risks lowering a brand’s positioning, sucking all aspiration from its appeal. ‘Slowly but surely’ is the preferred type of growth for luxury brands, something Switzerland as a nation is quite familiar with. Its direct democracy is symptomatic of ‘balance’ and ‘careful consideration’. The Swiss luxury branding acumen is evolving while maintaining its age-old understanding of quality control and finesse. But even the Swiss prestige branding acumen is evolving while maintaining its age-old understanding of quality control and finesse. According to Euromonitor, luxury goods are forecasted to register only moderate growth at constant 2017 prices in Switzerland.7 The changing face of the high-end customers and an economic reality that is less prosperous pose further challenges for the luxury industry in general. For the Swiss luxury goods market, these are not the best times ahead, then. But can the same be said for Swiss luxury brands? 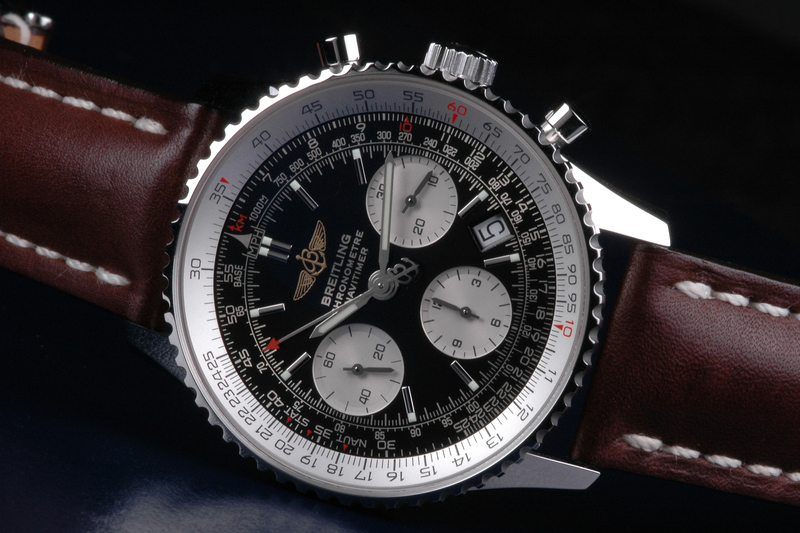 Looking at the luxury watch sector, it is easy to see that it is facing economic challenges. The question worth asking is: what are the necessary moves that need to be taken into account in order to overcome temporary hurdles and weak performance? Even a slowing demand from premium-power-nations such as China and Russia won’t destabilize the bedrocks upon which the Swiss luxury brand landscape is built. Doing well in a flaky global economy is the outcome of strategic luxury brand management. By looking at the management, product development and brand direction of high-end luxury brands at the recent SIHH (Salon International de Haute Horlogerie) in Geneva, one can see that Swiss luxury brands are well on track to emerge stronger rather than weaker from the currently tainted macro-environment. Many leaders would do well to at least ponder the lessons outlined here.